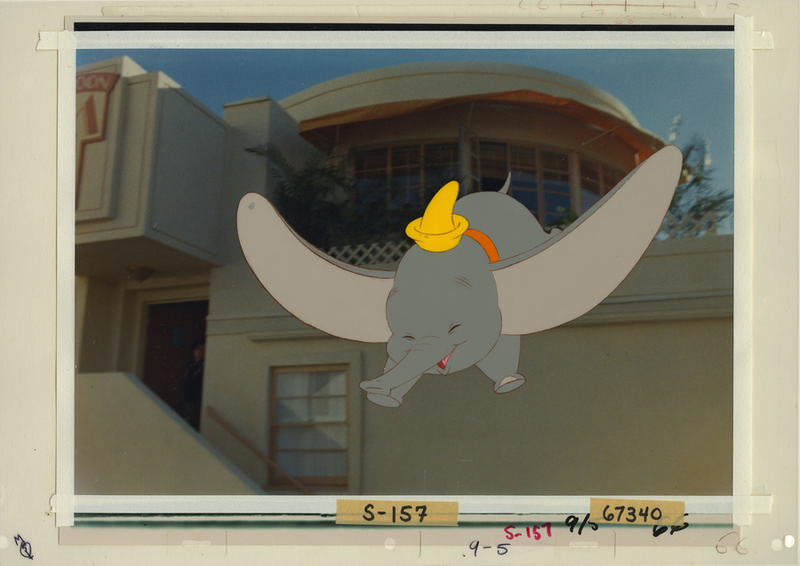 This is an original production cel from the Walt Disney Studios production of Who Framed Roger Rabbit (1988). 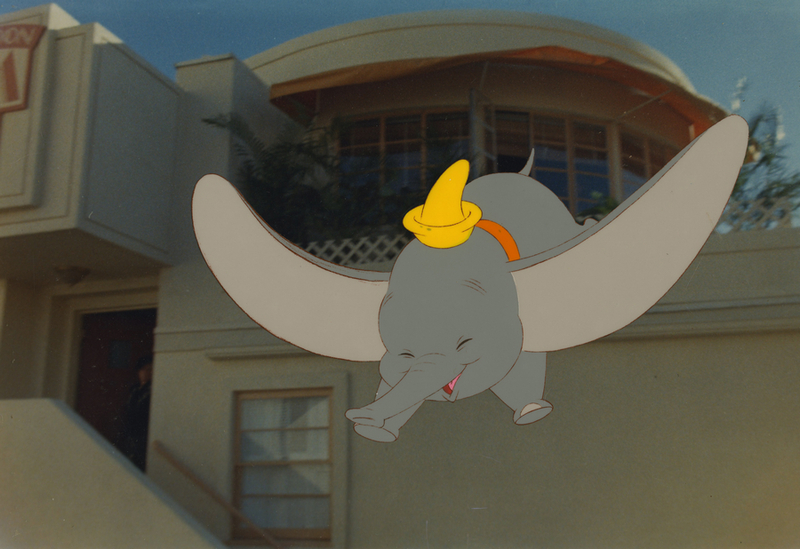 This hand-painted cel features a rare image of Dumbo, and was created at the studio and used during the production of the film. The overall measurements of the piece are 11.75" x 16.5" and the image itself measures 5.5" x 9.25". 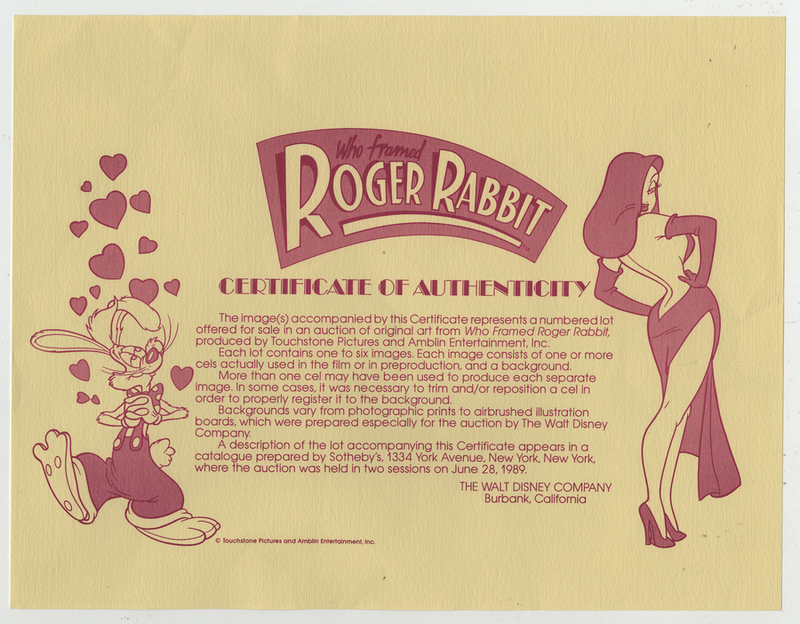 This piece was originally released by the studio and prepared for the initial sale of Roger Rabbit artwork. 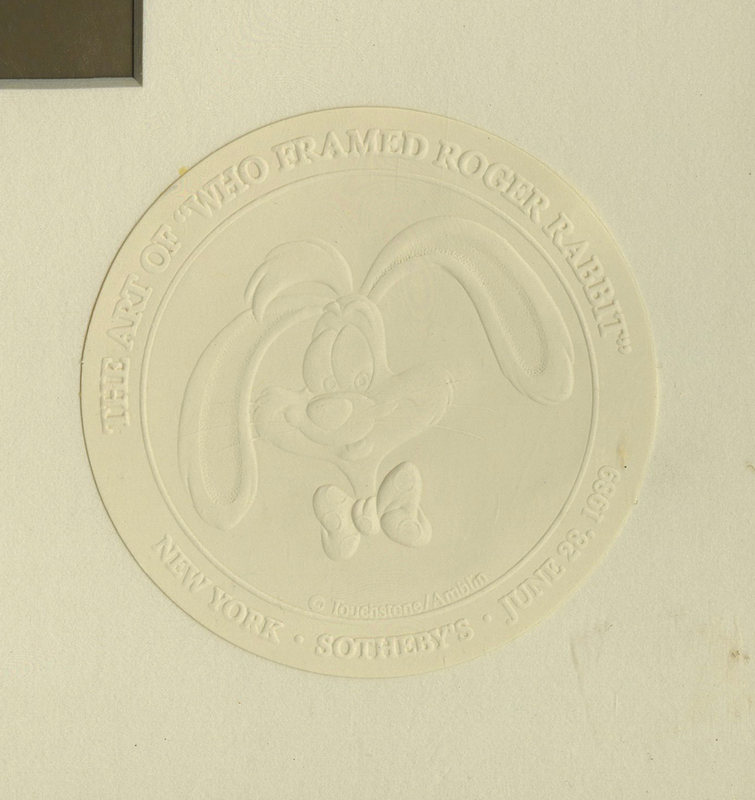 Only the original auction of Roger Rabbit artwork featured these color photographic backgrounds, all later art prepared by the studio had black and white photographic backgrounds. The cel is in excellent condition, although the cel is stuck to the background, and the original mat from the auction of this piece and its origina COA are also included.